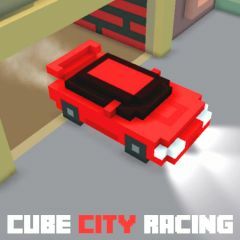 Cube city racing is a place where you can have fun and dominate your opponents. Everything depends on your skills and car settings. Select your car, game mode and try to beat scores. Change car settings by installing other upgrades and try again. You can play it against powerful computer opponents or real drivers. Use nitro and cross the finish line.